MCE Deepwater Development invites you to be a part of one of the industry’s most respected technical programs; submit your technical abstract today! A formal written paper is not required, simply fill out the information below and include a brief description of your topic.  MCE Deepwater Development 2019 celebrates it’s 16th annual edition in London, UK from 2-4 April, 2019! Early Career Engineer Program: For several years, Quest Offshore has partnered with the Operators represented on the MCEDD Advisory Board to create a platform in which young engineers may submit abstracts and gain industry recognition. If you have 7 or less years of oil and gas experience, please be sure and select the “Early Career Engineer” box below. You will receive an automatic e-mail upon submission confirming the receipt of your abstract. If necessary, abstracts can be e-mailed directly to [email protected]. Any questions can be directed to the aforementioned e-mail. Abstracts should focus on the technical elements of the chosen topic, not the commercial aspects of a company’s offerings – commercial abstracts will not be accepted. To enable the Advisory Board to judge each abstract adequately, please provide a comprehensive abstract containing a brief description of the proposed presentation, relevant application of information to the deepwater market and high level observations and conclusions. It is encouraged that project-related abstracts be co-authored by the oil company involved in the project. Any proposed presentation must get all necessary approvals prior to submitting an abstract. If outstanding approval issues remain at time of submission, please note those for review. HSE-Health, Safety & Environment (How? What Role? Does HSE Play in the Upturn?) Please address one or more of the following: Is Industry loosing experience and knowledge? What are solutions for this? HSE Effects on: Drilling & Production Operations; Asset Integrity; Safety Response/Recovery; Incident Mitigation; Simulators for emergency situations; Vessel operations. Renewable Energy (focus on offshore wind, wave, currents; offshore solar and offshore storage; with a special emphasis on offshore Floating Wind). You will be notified of your acceptance into the technical program in late December 2018 to early January 2019. You will have two (2) weeks from when the acceptance e-mail is sent to confirm your participation. If we do not receive your confirmation after a follow-up e-mail, we will assume you are no longer interested in participating in the program. Upon final approval of the technical program, each accepted speaker will be contacted. Full speaker guidelines will be provided at that time. Please see below for initial information. Each speaker is given 15-20 minutes to speak (presentations are to be limited to 15-20 slides). Time for Q&A with audience is not included in the 15-20 minutes and should not be considered additional available time to speak. Proceedings (Adobe PDF Files) are gathered about one month prior to the event and distributed at the event. Rough drafts of presentations are required and vetted by session chair people to ascertain guidelines have been adhered to. An Audience Response System is utilized in track one and requires multiple choice/true, false/agree, disagree questions to be submitted by speakers with answer options (these are to elicit options, not quiz the audience on a presentation). While we understand circumstances arise that may prohibit you from presenting after confirmation, we appreciate that speakers who much cancel, find a suitable replacement for the speaker. Again, we would like to thank you for your interest in being part of our high-value technical programs. The growing success of the MCE Deepwater Development Conference and Exhibition is due, in large part, to the high-caliber expertise brought to the event by our presenters. If you have any further questions, please feel free to contact us at +1 (281) 491-5900. Are you an Early Career Engineer?